Living… in Beacon Hills, California, with his mom. Beacon Hills seems like a completely normal town, full of totally average people. However, the werewolf apparently roaming the woods around town suggests that things are about to get a lot weirder. Profession… high school student. Scott also works part-time at the local veterinary clinic as an assistant to Dr. Deaton. Interests… playing lacrosse, hanging out with his best friend Stiles Stilinski, and investigating dead bodies in the woods. That last hobby ends with Scott becoming a werewolf after getting bitten by a weird wolf. On the bright side, that greatly improved his athletic ability and made his asthma disappear, so he goes from a guy who can’t even make the lacrosse team to a star player. The wolf giveth, and the wolf taketh away. Relationship Status… single, but with a long-standing crush on Allison Argent. 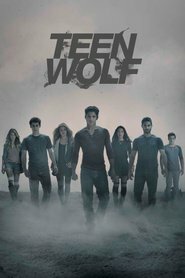 Now that Scott is a werewolf, though, that’s a little awkward – considering that Allison’s family consists of werewolf hunters. Challenge…. dealing with being a werewolf. Ever since he got bitten, he starts turning into a wolf whenever he gets too excited. That would be bad enough, but with dead bodies showing up in the woods around town, it’s obvious that Beacon Hills’ troubles (and Scott’s) weren’t just a passing phenomenon. Personality… humble, caring, and well-intentioned. Scott’s not the sharpest knife in the drawer, but he always tries hard. He’s a natural leader – once his wolf powers give him more athletic ability, he quickly becomes captain of the lacrosse team – and he tries to make the best out of what pretty much anyone would call a curse. Scott McCall's popularity ranking on CharacTour is #689 out of 5,000+ characters. See our top-ranked characters and read their profiles.